Patricia Genske Premo has a birthday today. Patricia Genske Premo added a comment on her Profile. Patricia Genske Premo changed her profile picture. Patricia Genske Premo added a photo to her profile gallery. Patricia Genske Premo updated her profile. View. Patricia Genske Premo posted a message. New comment added. Happy birthday Ross...I wish you a blessed and fun filled day. With many more to come! Patricia Genske Premo posted a message. Jim I wish you another wonderful birthday and hope for many many more to come! Happy birthday Lee. Hope this finds you well and happy and that you've had a great day. What a beautiful day for a birthday. Hope you're having a great one. Happy birthday. Patricia Genske Premo has a birthday today. New comment added. Happy birthday my "old" friend. Hope this day has been good to you! Marilyn, I too lift you up in my prayers for both you and your husband. Pleas keep us posted. 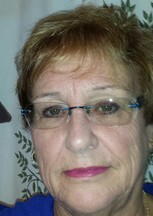 Patricia Genske Premo joined via Class Connection Facebook app. New comment added.